Members of the fundraising committee at MECCA (Muslim Educational & Cultural Center of America) saw the fundraising video we created for the DarusSalam mosque in Lombard, Illinois. With construction well under way for their $8.5 million facility, the Non-profit organization needed a video for their upcoming fundraising event. The purpose of the video was to communicate the need for a new space and show members what the new building will look like. 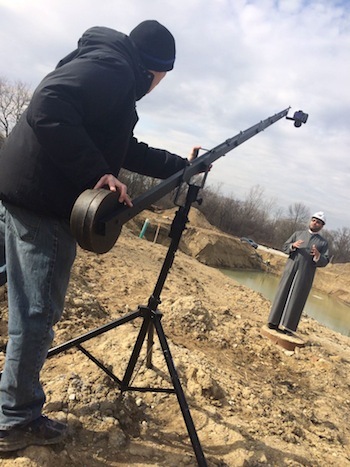 We filmed at their new construction site and current mosque with our 12′ mini jib, Steadicam/Glidecam, and our High Definition DSLR video camera. We combined all of the footage we filmed with a professional voiceover, music, and client photos/animations in post production. Scripting services and 2D logo animation were also provided by our studio. The entire video was shot, edited, and delivered to the client in less than a week!